Building A Stone Wall? Try These 3 Tips! There is a good chance you pass by a stone wall every day. They are so common you may not even notice them. That's the first step of having a stone problem, noticing it. The next step is acting on it. 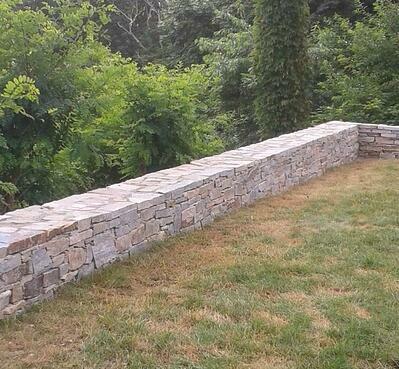 Now that you see stone walls all over the place, you're going to want to build your very own stone wall. There are millions of plants known for providing shade in the garden but research is mandatory as some species only thrive in certain conditions. Small shrubs are excellent for providing shade in walkways but they should not be too short. Vines may be trained over arbors to provide shade and exceptional beauty. Timber structures have been preferred for providing garden shade since time immemorial. They are available in different shapes and styles, offering a private space for you to recluse away from the sweltering hot sun. If such a permanent solution isn’t ideal for you, consider a simple fabric canopy to bring the shade when needed. There are varieties of outdoor fabrics that are strain-resistant, waterproof and fade-resistant to match each homeowner’s needs. For an ideal fabric for sun awnings, Phoenix experts recommend those that are strong enough to withstand external elements. If fabrics aren’t ideal for your lifestyle, consider awning to bring shade in specific parts of your garden. In the yard, you can go bigger with trees like crape myrtle, and Catalina ironwood, which have dense foliage and reaching branches. Trees may be planted in the middle of a garden to maximize the effect or next to the patio if you intend to shade specific areas. It is advisable to pay attention to root zones to avoid damage to nearby plants and structures. Mixing plants is a great way of creating contrast and achieving shade pockets in specific areas. This is an excellent choice for those seeking shelter without compromising scents, cool breezes, and other outdoor pleasures. There are countless options available that can easily blend with your home’s decor. Posts for this purpose must be sturdy and termite resistant. Ideally, parasols should be anchored to a patio or sunk into concrete for guaranteed stability. Landscape professionals agree on combining different methods to achieve much-needed results in a garden. Having trees doesn’t mean you cannot add a parasol or fabric canopy to a corner in the garden. In fact, combining mediums is the most creative way to add shade and accentuate the outdoors.